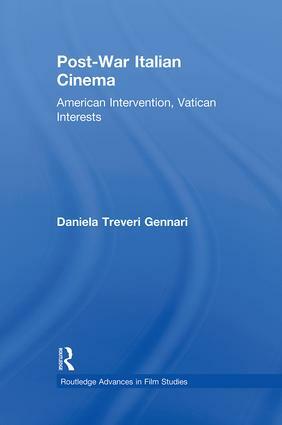 Through a comparative approach of current theories developed on ideology and an analysis of official documents from the Vatican and the United States Department of State, the book investigates the decisive role that American production companies played in the development of the Italian film industry and their links to the Vatican. This analysis evaluates how the Italian production and distribution industries satisfied the American political and economic interests. American political and cultural ideology of the post-1945 era, is compared with the Roman Catholic ideology in order to assess their cultural propaganda. This is followed by studies of the roles played by key individuals, such as Giulio Andreotti, and institutions such as ANICA and A.G.I.S. involved in formulating the policies and regulations that affected the production and distribution of American and Italian films in the post-1945 era, as well as the involvement of the Roman Catholic Church in this process.